The Elks National Foundation (ENF): The mission of the ENF is to help Elks build stronger communities. We fulfill this pledge by investing in communities where Elks live and work. We provide tomorrow's leaders, our youth, with lifelong skills; honor the Elks' pledge to never forget our veterans; help the state Elks associations accomplish their charitable objectives; and fund projects that improve the quality of life in local Elks communities. Laradon: Laradon takes its vast knowledge of the developmentally disabled community and supports mutually respectful partnerships among individuals, service providers and professionals while ensuring all individuals’ needs are supported and adequately expressed. TLC Meals on Wheels: The mission of TLC Meals on Wheels is to enrich the lives of seniors and others in the South Metro Denver Area by providing nutritious meals and services that promote dignity, well being, and independence. Vacation for Warriors: Our nation's wounded warriors face challenges every day; emotionally, physically, financially, and more. Their family members and caretakers face constant stress too - that's why Vacation for Warriors is committed to providing an opportunity for our heroes and their families to enjoy a brief respite from the challenges of their daily lives by offering them a vacation experience of a lifetime and an opportunity to reconnect. 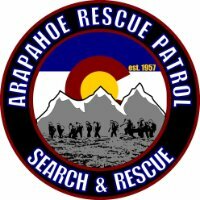 Arapahoe Rescue Patrol: The Arapahoe Rescue Patrol is a search and rescue team based in Arapahoe County, Colorado. The Patrol is composed entirely of young adults currently in high school. The members of the Patrol have provided “free" search, rescue, and emergency services for the citizens of Colorado’s front range and throughout all of Colorado since 1957. Friends of the Haven: The mission of Friends of the Haven is to provide financial and volunteer support to further the activities of The Haven and The Baby Haven, whose charter is to provide a safe, empowering and enriching environment for women and their infants and small children. Friends of the Haven (FOH) provides The Haven, and the Baby Haven, with resources for projects designed to further the abilities of women from across Colorado who are in treatment at the Haven, as they work to break the cycle of substance use disorders.